Hardy plants create plenty of "buzz". Flames of genius! Plant a mass of these upright spikes shimmering with a crowd of kinetic, two-toned, orange-red buds. Flamboyant floral show carries on from early summer to early autumn. An awesome addition to a sun-drenched, or part-sunny border, or massed in a sleepy, sunny spot that can use a shot of floral adrenalin. Hardy plants create plenty of buzz, thanks to visiting contingents of bees. 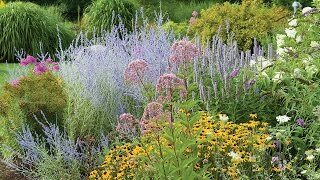 Plants achieve full magnificence in moist, humus-rich, well-drained soil. 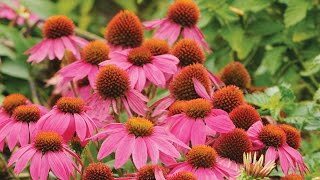 Come autumn, remove faded flower spikes and apply a deep, dry mulch around the plant’s crown. The following spring, divide and replant cramped plants, and multiply your floriferous pleasure. Kniphofia, otherwise known as Tritoma, may be grown from seed sown early indoors and transplanted outside after frost, or sown directly in the garden in summer, or planted as a potted plant. Sow kniphofia seeds indoors 6 weeks before the last frost in spring. Sow thinly and evenly and lightly cover with seed starting formula. Choose a site with well-drained soil in full sun or part shade where the summers are hot. Dig a hole for each plant, approximately 24 inches apart large enough to amply accommodate the root ball. Sow seeds directly in a protected area of the garden in mid-summer. The soil should be about 70-75 degrees F.
Sow thinly and cover with ¼ inch of fine soil. Firm lightly and keep evenly moist. Seedlings will emerge in 20-30 days depending on soil and weather conditions. Move young plants to their permanent locations in fall or early spring. Plants prefer a site with well-drained soil in full sun or part shade where the summers are hot. Careful watering is essential in getting perennials off to a good start. Water thoroughly at least once a week to help new roots grow down deeply. Soil should be damp at about 1 inch below the soil surface. You can check this by sticking your finger in the soil. Water early in the morning to give all leaves enough time to dry. One inch of rain or watering per week is recommended for most perennial plants. You can check to see if you need to add water by using a rain gauge. Kniphofia is fairly drought tolerant and long lived when they are well sited. Cut spent flower stalks to the base after blooming. After the plants bloom, cut the foliage back by half for a neater appearance. In areas with cold winters divide the plants in spring. In warmer regions, divide the plants after they bloom. Divide every 4-5 years. In cold areas protect over the winter after the ground freezes with a layer of straw of Christmas tree branches. When growing from seed, germination may benefit from a cold period of four weeks in the refrigerator. Kniphofia makes a fascinating border plant. The flowers are great for cutting as well. The bright tubular flowers are very attractive to hummingbirds. Kniphofia, Alcazar is rated 5.0 out of 5 by 1. Rated 5 out of 5 by Bean9 from Unique, bright orange, and pollinator friendly One of the three we received bloomed earlier than the others and our urban rabbits dug them up more than once, but they did all survive the rabbits and the drought and were absolutely stunning. I can't wait until next year to see them again.